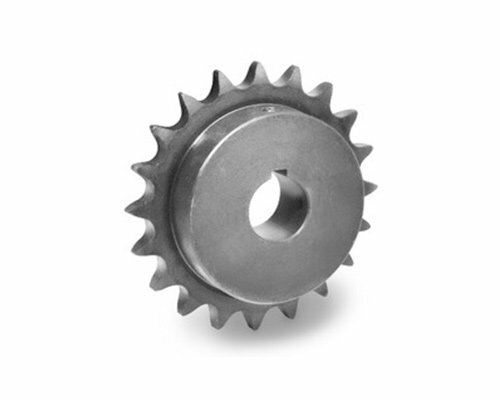 Industrial sprocket engages the link of the chain on a rim of wheel for the power transmission and conveyor systems. We are leading Industrial sprocket manufacturer, generally from the cast iron, metal and carbon steel. As it name suggests this sprockets are widely used in the industry works. Our company always delivers the finest quality of industrial sprockets to the customers. Commonly sprockets are also used in the bicycles. We are conduct to manufacture and supply all types of tooth designs sprockets with standard quality ranges to our clients. This industrial sprockets are extensively used in the cement, oilfield and in glass industries. There are varieties of industrial sprockets are available from our company they are single chain sprockets, duplex chain sprockets and triplex chain sprockets.